Cleveland, Ohio falls within the top 50 most populous cities in the United States, and is home to around 400,000 residents. The second largest city in the state of Ohio (after Columbus), Cleveland’s metropolitan area contains a population of approximately 2 million people. 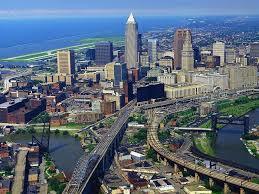 As home to a significant urban and suburban population, Cleveland is also home to a wide range of pest problems. This article will take a look at some of the more common Cleveland area pest issues, while providing some guidelines on the best way to address these. Cleveland’s climate is best classified as a ‘continental’ climate zone, with the city and surrounding area experiencing four distinct seasons each year. The city typically experiences hot, humid summers and cold and snowy winters. Severe weather events are rare, although hail, high winds and even tornadoes have been known to affect the area. Cleveland’s nominally temperate climate means that pest activity in the region is fairly moderate. Perhaps the most common pest issues in the Cleveland area include bed bugs, carpenter ants and termites. Carpenter ants are one of the largest species of ant found in the United States and can cause significant structural damage to your home. Using their strong mandibles, these pests can literally chew through the lumber in a building and their presence can often be identified by small piles of saw dust that accumulate outside their nests. Carpenter ants can be very difficult to thoroughly eradicate from the home, particularly as they tend to build significant networks of ‘satellite colonies’ throughout a home. This means that even if one colony is found and eliminated, the pest problem will still remain in the home. For a total extermination of carpenter ants from a residence, a professional pest control service is the best option. All though not dangerous to humans, these pests can cause thousands of dollars worth of damage to your home and should be dealt with immediately if detected. Bed bugs can also prove a real headache for homeowners, infesting property after property as they hitch a ride on their human hosts (and their belongings). They are capable of multiplying in large numbers and have the nasty habit of feeding on human blood while their hosts are asleep. These pests are known for their ability to thoroughly infest a home and for being incredibly difficult to eliminate, which makes DIY methods of extermination particularly unreliable. When one considers that all it takes to repopulate a bed bug population after an attempted extermination is one tiny, pregnant female bug, the importance of complete eradication of a bed bug population is obvious. If a bed bug problem is detected, professional pest removal is typically the smartest option and can save a lot of hassle and money wasted on DIY treatments in the long run. There are a number of reputable pest control agencies in the Cleveland area, among which is General Pest Control Co. This pest control agency has been servicing Cleveland’s pest control needs since 1937. It offers a range of pest control services, including bed bugs, termites, ants, rodents, and more. Other options for pest removal in the area include Cleveland Chemical Pest Control Inc., Apex Pest Control and Certified Pest Control Inc.